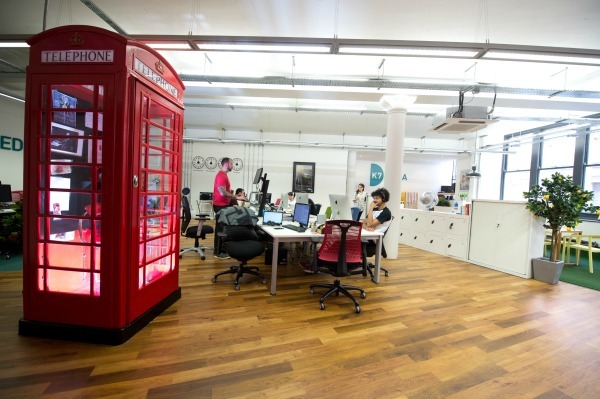 This space was redesigned specifically for K7 Media’s office needs when the company moved in 2014. 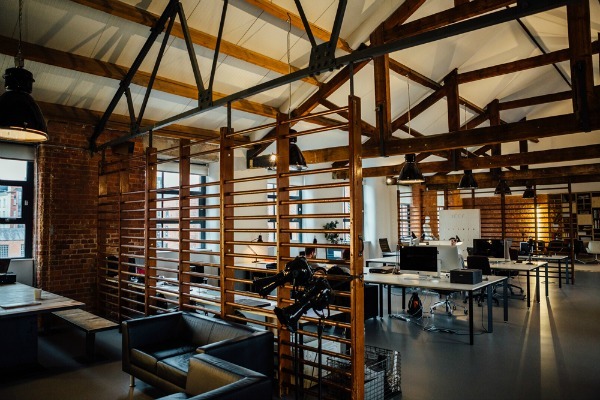 Located in a Grade II listed building on Dale Street in Manchester that was built in 1903 during the cotton boom, it includes many of the original features including red steel sliding warehouse doors and exposed brick work. "It is impossible to ignore the legacy of the building, inherent in the doors, columns and large windows," K7's entry read. 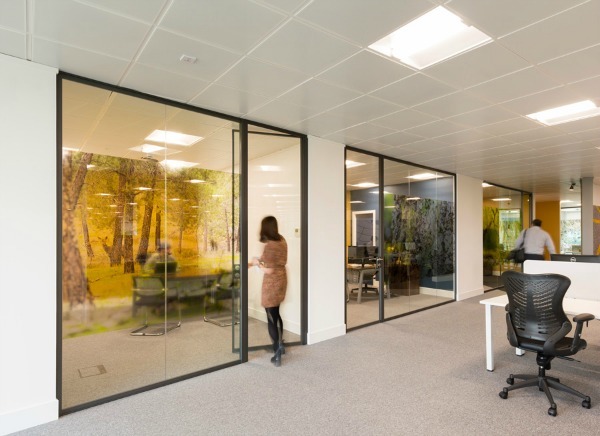 "To be using this building again as a leading company in our field, serving high-profile clients across the world feels completely fitting, and of course, humbling." 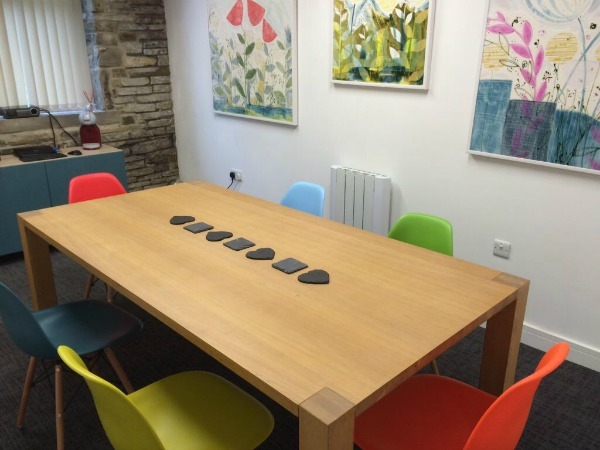 In December 2014, Faith PR moved into Thornhill Brigg Mills, a former 18th century textile mill in Brighouse with exposed stonework and beams, Queen’s trusses and Yorkshire stone flags. All it was missing was a good café nearby - so Faith teamed up with two neighbouring businesses and set one up themselves. Big Shots Coffee Co opened in June 2015 and all staff benefit from a 25% food and drink discount, subsidised by Faith. 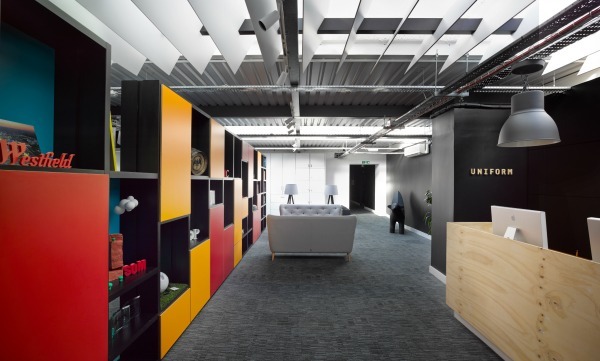 That and the new office has had a "huge impact" on wellbeing and productivity, the agency says. 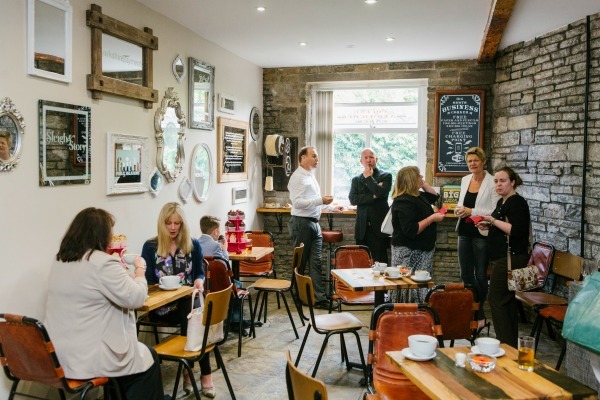 "The café impresses clients and shows them that we are not only a service-orientated business, but that we also invest in, and run a customer-facing business; we not only talk the talk but we walk the walk and understand the challenges they face." Staff productivity and mood has "dramatically" improved since Loaf relocated to its new base in Waulk Mill last year. Co-founders Dave Mullen and Alan Houghton planned and designed the Urban Splash space and all associated furniture, working with local company Concrete Juice who produced and fitted all items for the space, helping to tailor the designs to fit with the materials used and limitations of the space. "From early mornings with the sun flowing into the space through the tens of windows that line the walls of the studio, to the days that rain patters on the corrugated roof over half of the studio, days spent in the space are really special, and the space means a lot to our staff and clients." 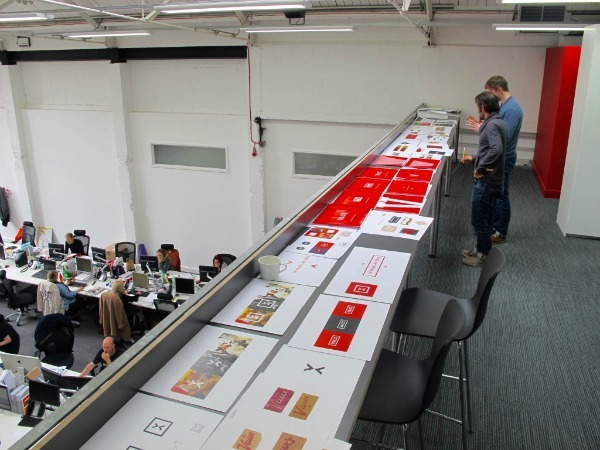 The Newcastle agency's Trafalgar Street studio is home to a team of 30, having moved from a first-floor studio in the same building in May 2015. It's a space designed by the team - alongside consultants Ward Robinson - to reflect its collaborative approach to work. 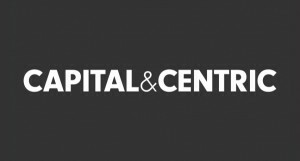 "We remain as true to our philosophy of removing the boundaries between communications to create compelling, inspiring stories for our clients as we did when we started in 1998 – and our new space reflects our ethos." 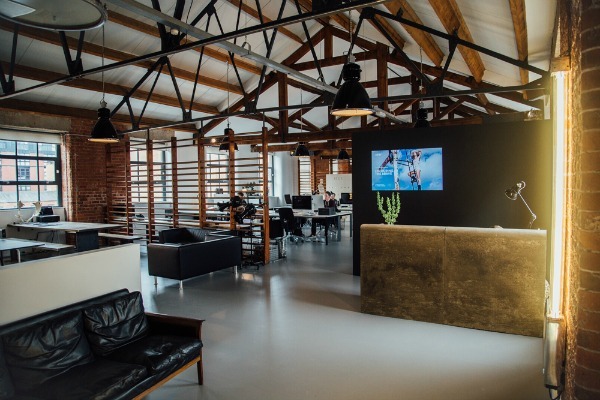 There are long, fluid workbenches, movable screens and laptops, clusters of chairs huddled around the fire, a number of break-out spaces and large comfortable sofas on the mezzanine level which can accommodate the whole team. "There is a deliberate lack of barriers," the agency says. 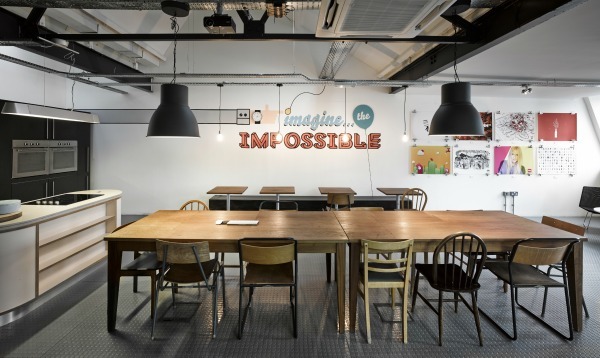 Central House is the new Harrogate HQ for WMG that the company designed from scratch, specifically for its needs. With floor to ceiling windows offering superb views over the North Yorkshire spa town, the 100 staff on the premises can also make use of walking treadmill work stations, creative breakout areas, 'silent pods' to allow people to make phone calls in absolute quiet, a games area and a semi-open plan core area. There's also a personal photo wall, made up of professionally taken photos of employees with a symbol of their favourite hobby out of work. People have been captured with pets, maps and globes, baking equipment, a vinyl record collection - and even a unicycle. 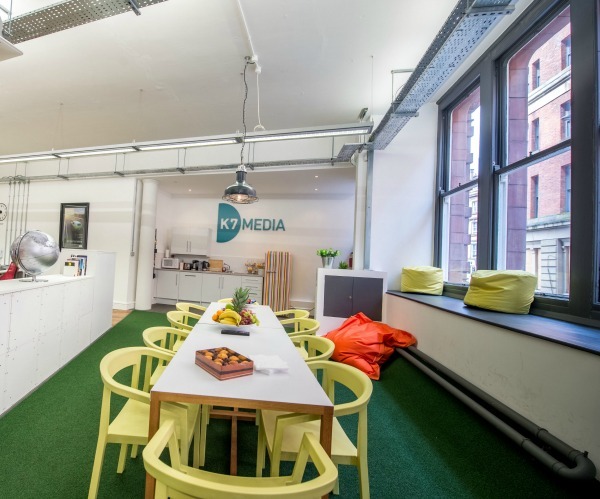 The Liverpool agency says it has doubled in size - in turnover and headcount - since moving to the space in summer 2013, with productivity and collaborative working both improved. 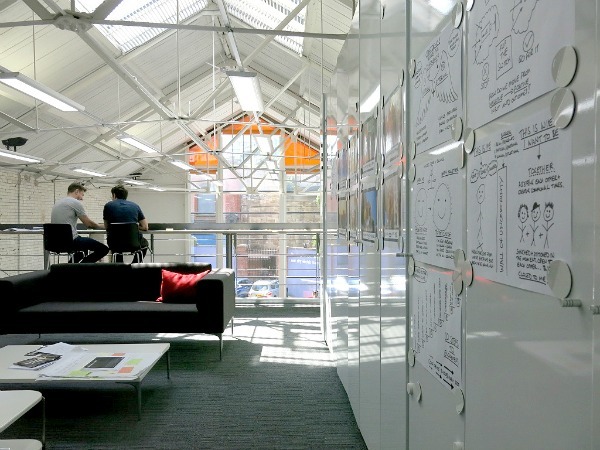 A former storage space on Bold Street, the space is split into three areas: the main open-plan studio, a collaboration zone and a social space. 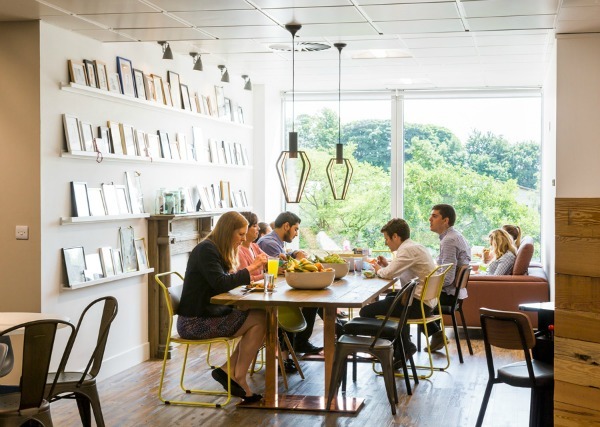 "This has enabled us to create a space that combines flexible workspaces, meeting areas, private booths, a workshop, and a large kitchen and social space where the team can eat together, meet socially and the company holds in formal meetings and events."